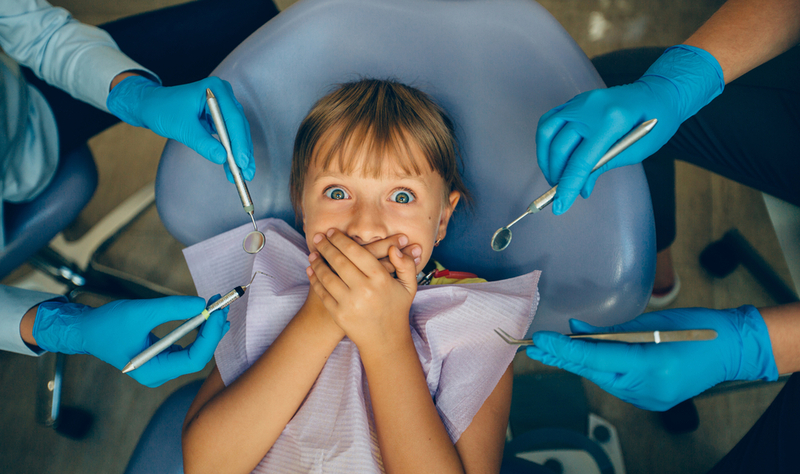 Going to the dentist and/or orthodontist can be a very traumatic stressful experience for our children. The following tips and strategies can help your child be more at ease and help calm their anxieties during their visit. Asking your dentist or receptionist for a few accommodations to help your children will make for a more positive experience and less stressful for your child. Ask the receptionist for a private room rather than the open area with lots of other activity, as your child gets more comfortable with cleanings they can be moved to the open area. Many children love added pressure to their bodies, draping a weighted x-ray vest over your child will oftentimes calm patient relieving some stress and anxieties. Give their hands a job. Let them hold the mirror to see what is going on. Take time to answer the child’s questions and talk them through what the dentist/orthodontist is doing. Allow them to suction their own mouths. Ask for a non-flavor toothpaste available for polishing. Some of the flavors the hygienist think would be great are too overwhelming/unexpected. Most of the above apply here too. The mirror is very helpful for kids to see what is going on. The known is less scary than the unknown. With the expander, do not try to make all turn adjustments at once. Ask the orthodontist to teach you how to turn and keep a calendar with the number of turns and direction. Each day does 1-2 turns at a time and go slow. For headgear/face mask: Parents can cut out fleece pads that are the same shape as the headgear pads for comfort so the child is more willing to wear it. They are also easy to wash and minimize clogged pores that come with wearing equipment. Braces: Instead of using retractor, ask to have 2 people put on brackets. One person has cotton rolls to move cheek out and dry off teeth. Their job is to provide an acceptable space for the other person to attach bracket. Go slow. Put on a few braces at a time instead of trying to do the entire upper set. Start with the front three. Next time put on a couple more, but don’t do the wire yet. Next time add two more and change wire, etc.